UP Police will soon start Recruitment Process for Computer Operator Grade A Posts. Online Application Process may start from 3rd Week of December, 2018. Read full news from Image given below…. Uttar Pradesh Police Recruitment & Promotion Board (UPPBPB) will make Recruitment for Computer Operator. Most of Candidates are ignorant about Exam Pattern & Syllabus for Online Written Exam & Typing Test. Without knowing about structure of exam you can’t be success in the written exam. 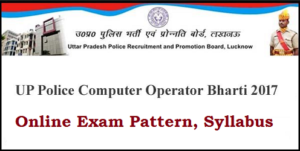 So in this section we provides you Exam Pattern & Syllabus of UP Police Computer Operator Exam. NOTE : The duration to solve paper will be 02:30 hours (150 minutes). There shall be NO negative marking. General Knowledge : General Science, Health Science, Current events, History, Culture, Geography, Economics, Indian Constitution, Environmental Studies, Health and hygiene, Foreign Direct Investment, Child welfare, Women welfare, Social welfare, Disaster Management, Sports, Literature, Science, basic knowledge of information technology. Mental Ability : Logical Diagrams, Symbol-Relationship Interpretation, Codification, Perception Test, Word formation test, Letter and number series, Word and alphabet Analogy, Common Sense Test, Letter and number coding, Direction sense Test, Logical Interpretation of Data, Forcefulness of argument, Determining implied meanings. Reasoning : Analogies, Similarities, Differences, Space visualization, Problem solving, Analysis and Judgment, Decision-making, Visual memory, Discrimination, Observation, relationship, Concepts, Arithmetical reasoning, Verbal and figure classification, Arithmetical number series, Abilities to deal with abstract ideas and symbols and their relationships, Numerical Ability Test. Introduction : History, Evolution and Generation of Computers, Organization of Computer system, Hardware, Software, Peripheral Devices, Algorithm, Flowchart and Number System. Database Management System : Data organization, File Management System, Database Concepts, Relational Data Model and Basic Concept of Database, Popular Database Management System- FoxPro and Oracle with SQL etc. PC software and Office Automation : Office System and Procedure, the need for office automation, Electronic Capture, Storage, Graphics and Graphic User Interface, Electronic Data Interchange. Workplace Productivity Tools : Word Processing Tools, Electronic spreadsheets, Electronic presentation tools. Microsoft Office (Word, Excel, Power Point, Access), Open Office, Using these tools in English and official Indian languages (Windows, Unix and Unicode Fonts), Exchange of Files across these platforms. Computer Networks : Types of networks, Network topology, Risk assessment and security measures and security issues, LAN, MAN, WAN. The Internet : Working with internet, uses of internet, Search Engines, e-mail, e-commerce, e-banking and e-learning. Boolean Algebra : Boolean operators, Truth Tables, Closure property, Laws of Boolean Algebra, SOP, POS, Karnaugh map, Application of Boolean logic. Data Structures : One and two dimensional arrays, Stack and queue. ► Passage of 700 words in English and 500 words in Hindi will be given to candidate. There shall be a break of 10 minutes in English and Hindi Typing. Hindi typing will be performed on UNICODE based In-script keyboard. 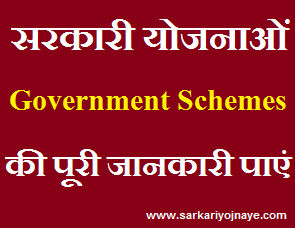 Get full Official syllabus of UP Police Computer Operator Exam in Hindi (in pdf Format) through the following link. Candidates can ask any query related to UP Police Computer Operator Syllabus 2018. We will Revert Back soon regarding Your Queries. Sir final marks jo hote hai vo written ke marks hote ha ya pair usme typing , documentation and medical ka bhi add hota hai. Sir pls send me ans my mail ✉ I’d par. Hi Pushpendra, Final Marks Written Exam Marks ke hote hain. Typing Test qualifying hai only.